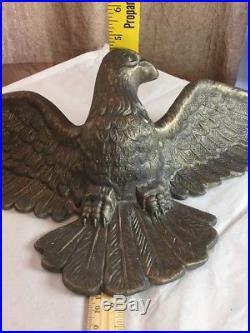 Vintage American bald eagle plaque. 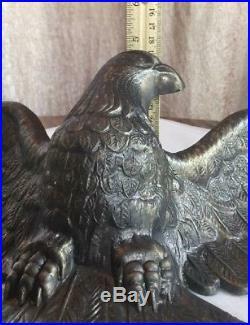 The plaque is approximately 28 inches wide, 7 3/4 inches tall and 4 1/2 inches deep. 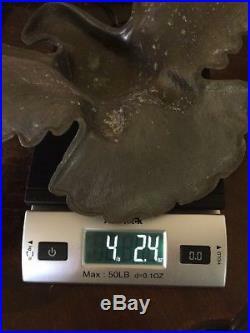 The plaque weighs approximately 4 lbs. It has the numbers 4752 stamped into the back. 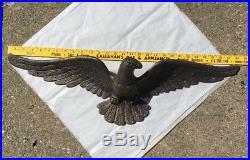 It appears to be made of cast-iron with a antique brass finish. It is in very nice vintage condition. 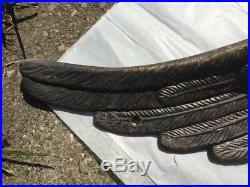 The plaque has holes on the end of each wing for mounting. 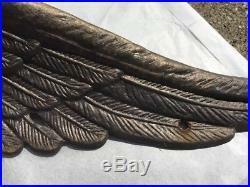 Note: there is a small space between feathers on the left wing. I believe it was part of the casting process and not a flaw. 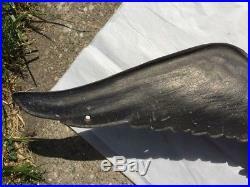 Please look at all pictures because they are part of the item's description. I strive to receive five-star feedback. 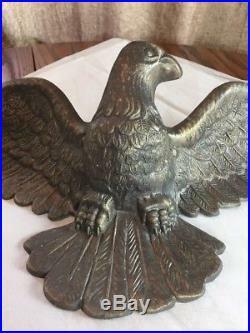 The item "VTG 70's Cast Iron, Antique Brass Finish, American Eagle Wall Plaque 28 Wide" is in sale since Wednesday, December 13, 2017. 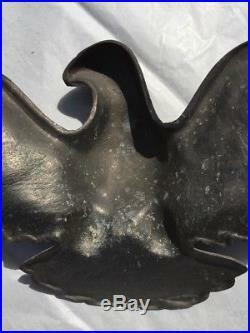 This item is in the category "Collectibles\Metalware\Cast Iron". 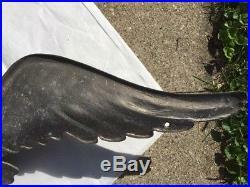 The seller is "tess-2013" and is located in Indianapolis, Indiana.